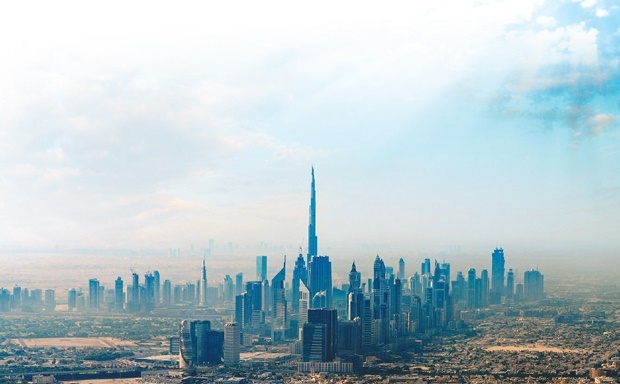 Dubai has emerged among the top 10 world-class cities based on economic performance and global connectedness and competitiveness, according to a new report by global real estate firm Savills. Describing Dubai as a rising world-class city, Savills’ 12 Cities report aims to capture the best features that make cities powerful and important real estate markets for both investors and occupiers. Dubai ranks 10th among 20 cities surveyed in the Savills World-Class City Score, which is part of the 12 Cities report, ahead of cities such as Shanghai, San Francisco, Berlin and Moscow. However, the report noted that there are trade-offs to being a world-class city. “Being a global city comes at a price — they are the most expensive for occupiers,” according to Savills. The highest-ranking world-class cities — London and New York — are also therefore the most expensive for businesses and workers to occupy at $112,800 (Dh414,303) and $111,300 per year respectively. In Hong Kong, the only other city to breach the $100,000 mark, it is $103,200. The cost in Dubai is $58,000 per year, lower than the average cost of $69,100, but more expensive than Sydney ($49,500), Los Angeles ($48,600), Moscow ($48,300) and Berlin ($27,700). Oil prices have had an asymmetric impact on the global cities surveyed. The report states that the 71 per cent fall in the price of Brent Crude since June 2014 has had a profound effect on some real estate markets. Moscow’s price falls are perhaps the most pronounced among the global cities, according to the report, while Dubai, although not directly dependent on oil, has seen a “distinct cooling”. The report also considered the 10-year residential capital value growth of global cities until 2015, with Mumbai on top with a 184 per cent growth. Dubai is slightly below the middle rung with a 45 per cent growth. The average capital value growth among the cities surveyed is 73 per cent. Cities with the lowest rates of growth included the high-supply US cities of Miami (7 per cent), Los Angeles (7 per cent) and Chicago (4 per cent). The report notes that “new world cities” such as Dubai and Shanghai have taken rapid urbanisation in stride, unlike “old world cities” such as London, New York and London that have had to deal with issues such as depopulation and neighbourhood decline in the 1990s. Ultimately, cities do well when supply response is more elastic and accommodation costs are low in relation to their global ranking. “The challenge for the top alpha cities is to supply new business quarters and residential neighbourhoods, while capturing the characteristics that made the city an attraction in the first place,” the report states. The report ranks cities on accommodation costs, city quality and competitiveness. It says, “Cities that rank higher on accommodation costs than on city quality and competitiveness (Hong Kong, Dubai and Moscow) are likely to experience less rental growth in future than those that rank lower.